Scooter is a 2008 graduate of Embry-Riddle Aeronautical University, Daytona Beach Campus with a major in Aviation Maintenance Science. While attending school at ERAU, Scott obtained his Commercial Single and Multi Engine Land, Single Engine Sea, Flight Instructor, and Airframe and Powerpant Mechanic. In between all of the school flying, he built hours by banner towing and instructing in the family T-6 Texan before checking out in the P-51 at the age of 20. After Graduation, Scooter moved back to West Virginia, obtained his Inspection Authorization, and has picked up the family restoration and fabrication business. He currently holds a Surface Level Aerobatic waiver in the P-51 and performs in 20-25 shows a year. His current Total time is 6,500+ hours and over 1000 in P-51’s. Dave is the team’s Safety Officer since its conception in 2007. 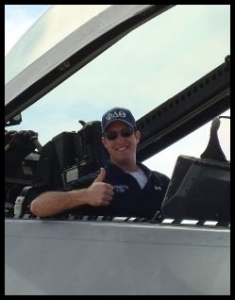 Graduating from Embry-Riddle Aeronautical University, Daytona Beach Campus in 2006 with a major in Air Traffic Management makes him the perfect choice for operations and safety management for the Quick Silver team. Thor is a long time Warbird enthusiast and supporter. 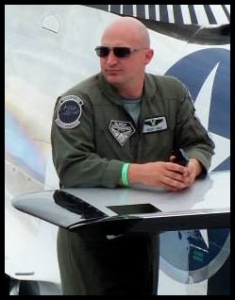 He has over a decade of air show and warbird experience supporting flight crews in moving, displaying, maintaining and promoting their aircraft around the country. A prior member of Warbirds Over Long Island and The Heritage Flight Foundation. 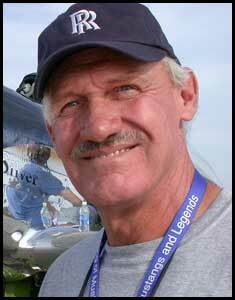 Thor brings his experience to the Quick Silver Team in order to help us keep Bill Yoaks dream alive of honoring our veterans, maintaining aviation history and educating future generations of sacrifices made by the few to keep the rest of us free. Bill’s Love for aircraft started with his Step Father (Tex Rush) work at Glenn L Martin and later Rocketdyne. Afer graduating Highschool in Fayetteville WV, Bill attended Concord College for one year before leaving to pursue his passion for aviation with Lockheed in southern CA. Quickly recognized as a rising star in the company, Bill was selected for the R&D apprentice program and from there he worked on various projects in Lockheed’s “black area” including the Groom Lake Facility. While working for Lockheed, he obatined his pilot certificates and checked out soon after in the P-51 at the age of 19. Bill was soon known in the company for communting to work on various days in the Van Nuys club mustang! 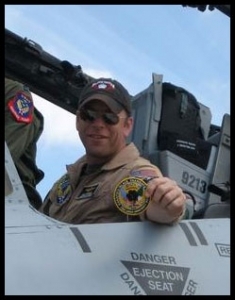 After working for 7.5 with the company, he left with his skills to pursue to ever rising warbird industry. He worked for the RW Martin company that was based in Van Nuys CA for a number of years before moving to Carlsbad CA and starting his own Certified Repair Staion (The Metal Cage). As if all of this isnt enough while fabricating parts for movies and warbirds, fixing broken aircraft in the shop, and starting a family, he still found time to check out in and obtain ratings in over 30 piston driven fighters, bombers, and attack aircraft! he has over 10,000 hours total time with the majority in World War 2 aircraft.In 1994 Bill moved his family and shop back to West Virginia where he grew up as a kid. Partnering with Paul Hunter, Bill began work on what he would later call his “life’s work”, Quick Silver. Over the next 14 years he would obtain, fabricate, and assemble the aircraft in his shop with his son Scott, friend Dan Dilley, and advice from some of the best “keepers of knowledge” in the industry. On April 1 2007 he test flew QS for the first time.